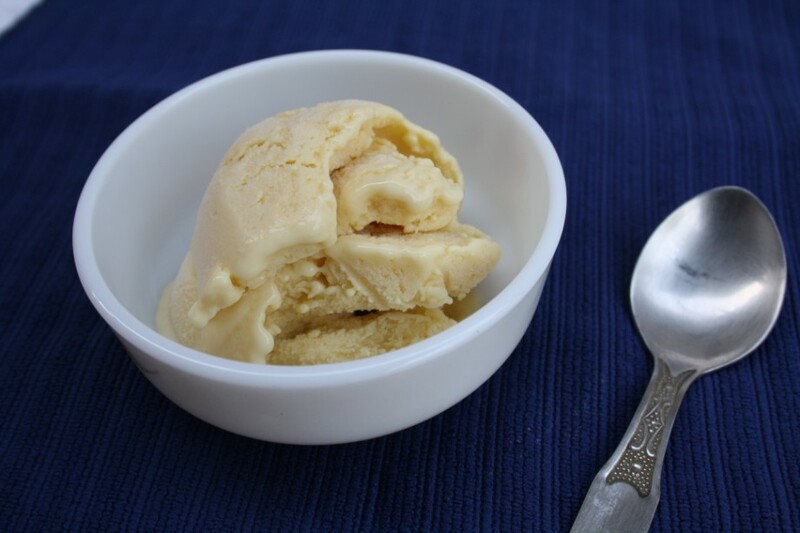 If Paal Ice was something I made when I was 11, Mango Ice Cream was something I first made during my early 20’s. It was during the Mango season that I thought I should make something different with the excess mangoes we had. During the season, everybody is seen eating only mangoes and nothing else. It’s very typical for most folks to skip their regular breakfast, lunch and dinner for mangoes. I don’t think you would find anybody who dislikes this fruit and I mostly prefer to eat it as such. But having started on baking and other such cooking activities, I was bent on making something with Mango. So naturally Ice cream comes to picture. I had a cookbook featuring Ice cream recipes and I decided on a recipe featuring Mangoes. The recipe called for Gelatin. Till then I had never been shopping on my own. So when I decided to make Ice Cream, I went shopping to get Gelatin, I sure felt very grown up and acted smart saying I was going to make Mango Ice cream. Back home, I spent many hours tolling over making this decadent mango ice cream. 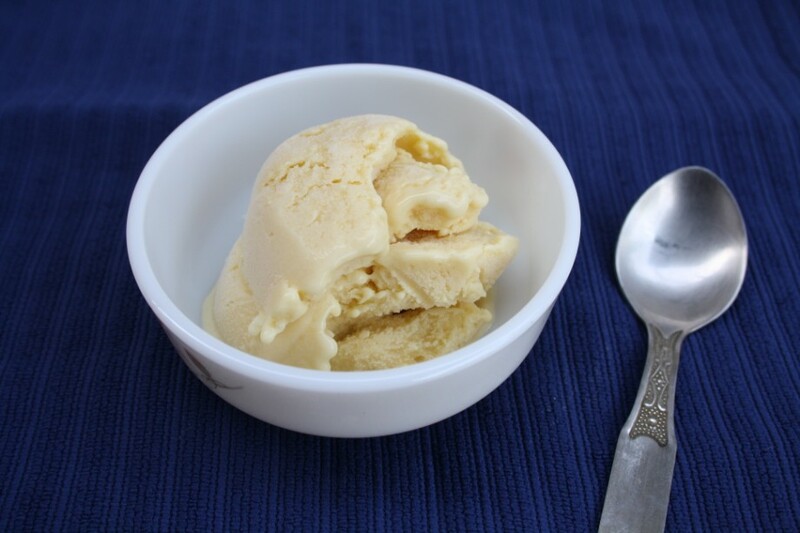 It was such a hit, that I continued making the ice cream every season. I think I stopped all such activities when I started working. Yesterday when I was making the Paal Ice, Athamma was telling me that couple of mangoes were over ripe. Though it’s the Mango season here, we haven’t really enjoyed a good season. These mangoes came from Andhra and were fine. Seeing the fruit, I said I will make something later in the evening. She was recollecting how she used to make mango ice cream herself. After that I really didn’t pay attention to what she was saying as I was busy taking pictures. Imagine my surprise when I went back home to find that she had made Mango ice cream and Peddu already completed most of it! I was jubilant finding that my task was reduced to just writing this post and clicking pictures! She said she forgot how she used to make back then. So she saw me using Condensed milk and thought Milk powder to be icing sugar and had used it also. I guess milk powder made a difference, because this mango ice cream was not having crystals. I beat it couple of times and froze it again. After 5 -6 hrs, it was creamy and did not have those crystals formed. To avoid ice crystals, I had used cream in my Chocolate Ice Cream. Now with just Milk powder I find that it can be avoided. I will have to experiment with it again to confirm. Meanwhile you can enjoy this Mango Ice cream. Wash and peel the skin from the mangoes. Puree the fruit. Cool, add milk powder and condensed milk, beat the mixture in mixer to get thick and frothy consistency and freeze for 6 hrs. Remove and pulse for 2 mins and again freeze for 6 hrs. Simple but delicious flavours..love the creation of athamma. Who will say no to mango icecream,yummm! Superb looking mango ice… love the addition of milk powder instead of cream..
Mango ice cream looks yumm. Easy to make too. 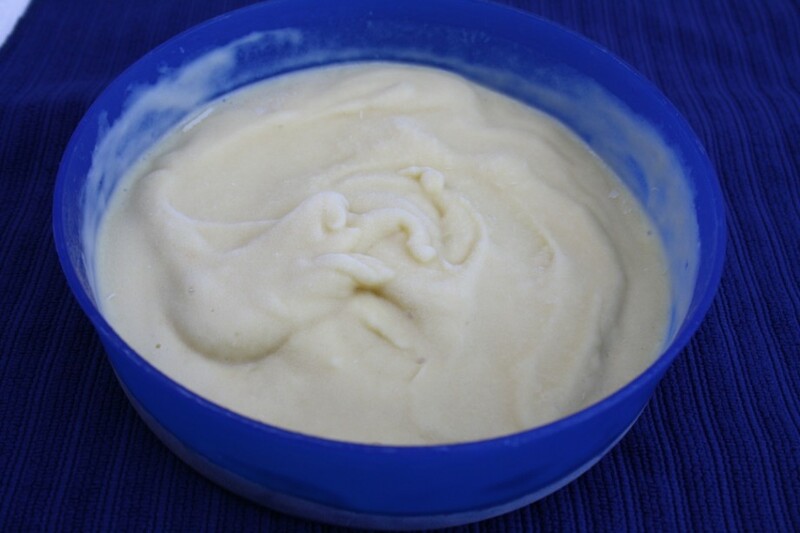 Usually using just milk or cream makes ice cream icy, I found out adding cooked corn starch makes a creamy ice cream. I made mango ice cream with corn start and will post the recipe soon. Enjoy your weekend. I love homemade ice cream and mango is very refreshing. I like mango juice, etc.